Imagine having an exciting high-paying job that lets you use your creativity to organize fun and fabulous parties. Welcome to the world of party planning! As a party planner, you will be hired to create some of the most memorable moments of people's lives. Party planners organize events that give people the opportunity to socialize, celebrate and have fun. There are few careers that offer so many benefits. As a party planner you will have a job that is interesting and fun. Plus, when you start your own party planning business you can enjoy the freedom of being your own boss. 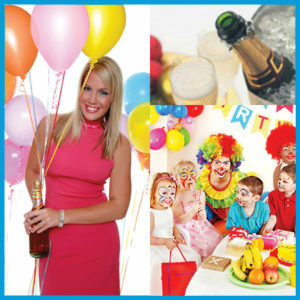 A party planner who provides full service party planning will handle every detail of the party and attend it as well. Party planners may also choose to specialize in planning just one aspect of a party, such as the décor, the entertainment, or the food and drink. As long as you have the desire, you can become a party planner. No special education or experience is necessary to break into this career and succeed. 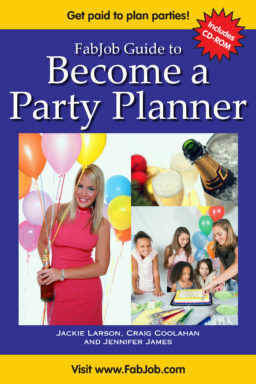 If you would like to be paid to plan parties, the FabJob Guide to Become a Party Planner is for you! In this e-book you will discover how you can start your own party planning business and succeed as a professional party planner. NOTE: For the most recent edition of this guide, please order the e-book edition. You can have all this and more for an incredible special price. People pay hundreds of dollars to take courses on starting a business, and chances are they will not include specific information about starting a party planning business. The FabJob Guide to Become a Party Planner contains some of the best business advice you could get from other sources, plus much more. It is a print book together with a CD-ROM that includes sample checklists, forms, and more. 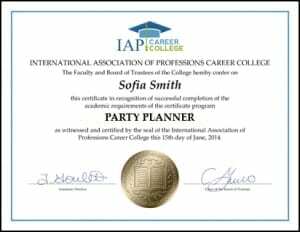 The information in this party planner guide can save you many hours of research, help you avoid some costly mistakes, and give you advice you need to start your own party planning business. If you believe you deserve to have the career of your dreams, this guide is for you. If you are undecided, take advantage of our guarantee. Buy it, read it, and if you are not satisfied, your money will be refunded. FabJob 2-in-1 Book and CD-ROM sets have sold for up to $49.95 U.S. and currently sell for $19.97 at Amazon. SPECIAL OFFER: If you buy this book today at FabJob.com you can get it for only $9.95 U.S. plus $5 shipping per book to U.S. or Canadian addresses. We regret that FabJob is unable to ship print books to overseas addresses. This is because of the arrangement we have with our current warehouse. If you are overseas and want a print copy of this book, please contact FabJob customer care by email at fabcare@fabjob.com. Ordering is fast, easy and safe. If you want to order more than one book, you can increase the quantity of print books after you click BUY NOW and go to the shopping cart. 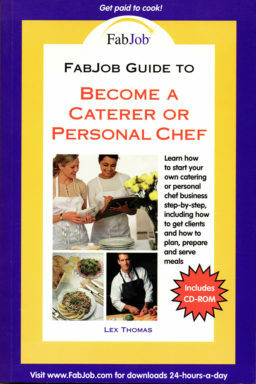 Please note there is a limited quantity of print books available at FabJob.com. 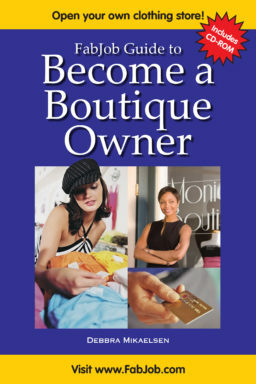 We are so confident this FabJob book can help you achieve your dreams, we will give you a refund if you tell us within 60 days that you are not happy with your purchase. See our FAQ page for details about refunds on print books.